The top tips from experts on building girls' resilience to take on challenges and overcome setbacks. Call it what you will — grit, determination, a can-do attitude — but it all comes down to the same thing: being able to keep going in the face of challenge and even failure is a major component of a child's future success. 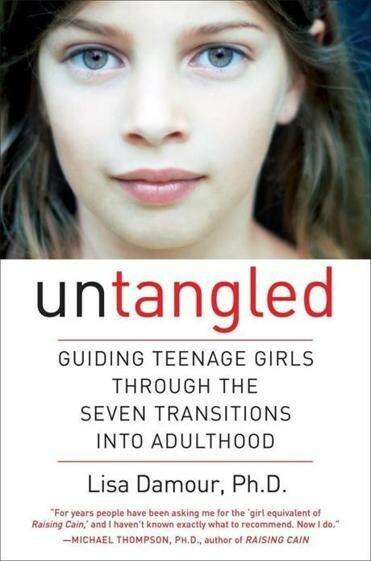 "The ability to persist in the face of difficulty may be as essential to success as talent or intelligence,” says psychologist Lisa Damour, Ph.D., author of Untangled: Guiding Teenage Girls Through the Seven Transitions Into Adulthood. 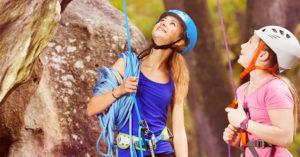 Moreover, with research showing that girls are more likely to feel the need to be perfect and to struggle with confidence when they make even small mistakes, it's particularly important to raise resilient girls. 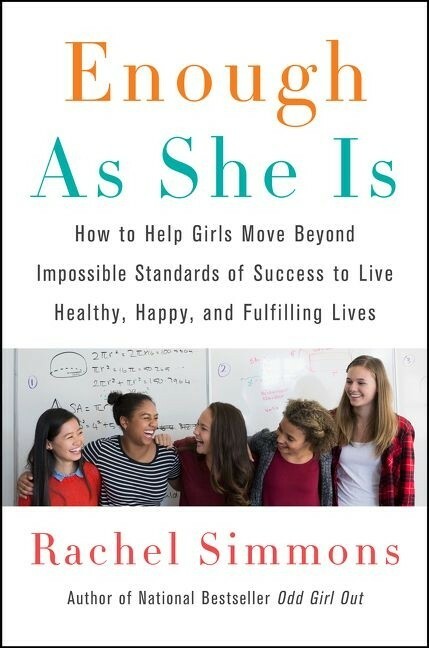 As Rachel Simmons, author of Enough As She Is, explains: "What we want is for girls to have is the capacity to move through a setback without beating themselves up." If you'd like to help your Mighty Girl develop that confidence and resilience, you may be wondering where to start. Fortunately, there are a number of proven ways that parents can foster perseverance and determination in their girls, and in this blog post, we've shared seven of our top tips to raise resilient girls. At the end of the post, we've also featured a few of our favorite books to help girls feel ready to take on the challenges before them, and to help parents and educators foster the resilience girls need to succeed. With the guidance of caring adults, girls will know that they can tackle any obstacle — and come out the other end stronger. Psychologist Carol S. Dweck developed the concept of growth mindset — the attitude that abilities can be practiced and developed, rather than being unchangeable — in the 1980s. Through her research, she discovered that girls tend to think of their abilities are fixed, that is, that people are born with a particular ability or talent of they aren't. As a result, girls are more inclined to give up when they encounter challenges with a particular task or area of study, believing they don't have the ability to improve. Heidi Grant Halvorson, the author of Nine Things Successful People Do Differently, theorizes that this tendency arises from the way we praise girls: "girls, who develop self-control earlier and are better able to follow instructions... are told that we are 'so smart,' 'so clever,' or 'such a good student,'" she says. "[These phrases imply] that traits like smartness, cleverness, and goodness are qualities you either have or you don't." It's hard to be resilient when you believe you're performing below expectations — and many girls set a bar that's far too high, Simmons says: "In any case when you expect yourself to be perfect, you will always have an enduring sense that you are not perfect enough." If only perfection is acceptable, girls will be quick to abandon something that pushes their limits. The hallmarks of perfectionism are excessively high personal standards — "I have to excel at everything I do" — and severe self-criticism — "I’m a complete failure if I fall short." To tackle these destructive thoughts, parents need to help girls to develop a realistic assessment of their strengths and their weaknesses, as well as an understanding that everyone makes mistakes. Angela Duckworth, the author of Grit: The Power of Passion and Perseverance, encourages parents to help girls be aware of and examine their own thoughts, a technique called metacognition. Using metacognitive techniques, she says, allows kids to "look at themselves and honestly understand what they’re doing well and what they’re not doing well... Eventually, they will mediate their weaknesses and raise their strengths." 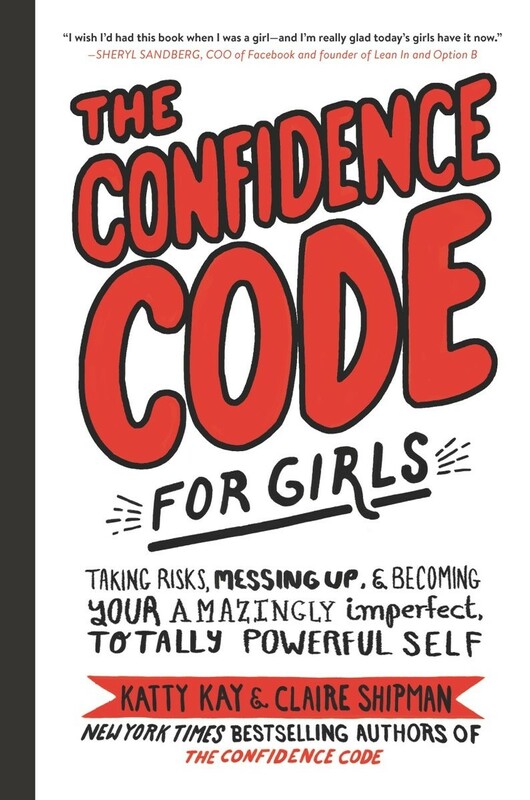 This process of understanding how negative thoughts can hold you back will sound familiar to many adult women, assert Katty Kay, Claire Shipman, and JillEllyn Riley, authors of The Confidence Code for Girls — so "if girls can start to see that pattern at age 10 or 11, imagine... the confidence they could start building." When girls take on a tough task, parents face their own challenge: allowing them to do it, even if they struggle. 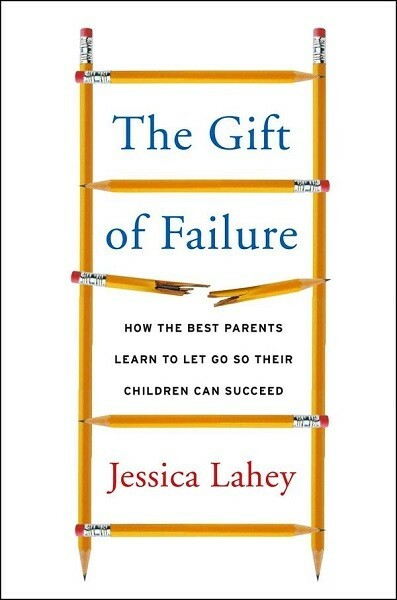 Jessica Lahey is the author of The Gift of Failure: How the Best Parents Learn to Let Go So Their Children Can Succeed, and as a parent herself, she understands how hard it is to watch kids try — and fail — to do something new. "We bring a beautiful, precious child into the world, and after those first few moments of bliss wear off, we realize that our new purpose in life is to protect this fragile human being from harm," she says. "It's easier to self-soothe by shielding our kids from all risk than to take a pause and figure out which risks are necessary to their development and emotional health." So when a child wrestles with something new, whether it's a toddler trying to put on her jacket or a teen sobbing over a tough assignment, parents may feel like they should sweep in and "fix" the situation. In the process, however, we inadvertently teach kids that we don't believe that they're capable of handling these tasks, or the emotions surrounding them, on their own. Parents have to let kids wrestle with things, and give them the space and time to do that; if your Mighty Girl is learning to zip a jacket or tie her shoes, you can't plan to be out the door in five minutes flat every day. When they are struggling, tell them that you're confident they can get it — if they keep trying. "With a little luck, they will look back on their childhood and thank us," Lahey says, "not just for our unwavering love, but for our willingness to put their long-term developmental and emotional needs before their short-term happiness. For our willingness to let their lives be just a little bit harder today so they will know how to face hardship tomorrow." Sometimes, though, parents will have to offer some help. But how do you know when to give kids a hand — and what to offer? The first step is ensuring that your help is welcome by asking, "Do you want help figuring this out?" But if they say yes, it's important not to just feed them the answers, so brainstorm with them or point them to resources they can access themselves. "You need to break down big goals into smaller and smaller parts, and then you need to give them the part that they’re almost able to do, and with support can do." says Duckworth. "If you look at little kids who are learning to walk or learning to read, they might not be able to take the next developmental step on their own, but with a little support this next step becomes just within their reach." Michael Ungar, author of Too Safe For Their Own Good, says that as kids get older, "the parent [should offer] to share information about the adult's life experience... [but] the choice for how the child behaves [should be] up to the child." After you've shared your take on a situation, step back again: "We sometimes need to insist they make mistakes, or at least what looks like a mistake to us. We need to say, 'Go ahead, you can buy that. It will use up all your savings, but if it is important to you, then do it.'" The long-term cost of their decisions are lower when kids are younger, he points out; "It is better to watch a child mismanage fifty dollars than mismanage five hundred dollars when they're a teenager, or worse, five thousand dollars when they're in their twenties." Letting kids make the decision for themselves allows them to learn from their own mistakes while also giving them the confidence that you know they can handle taking on increasing responsibility. Often the biggest problem is that kids want to take on bigger challenges than the parents are ready for! "Catrina, the eldest daughter of friends of mine, worried her family sick when she packed up her knapsack and, at the youthful age of seventeen, used her own savings to pay her way to Europe," Ungar recalls. But as he points out, if her parents had stopped her, they would have told this resourceful girl that they didn't think she was capable of her "trip of a lifetime." So her parents asked her to tell them her plan for a number of different scenarios, and insisted she add a few details to it: "Catrina agreed to check in with a friend of the family's who lived in England, and the niece of a neighbor who was working in Germany. And she'd call, as often as possible." Not every family is ready for their child to plan for solo travel, but getting them to lay out how they'll accomplish a big challenge — including problems that could crop up along the way — is confidence-building for kids and reassuring for parents. For a girl who wants to learn to do skateboard tricks, parents could tell her to research what a board and proper safety gear will cost, how she'll save up for them, and where and how she'll learn the basic skills she needs. They can also ask her how she'll deal with deviations to her plan: "If the older kids at the skate park don't want to take the time to teach you, then what will you do?" The process will teach her quite a bit about both her aspiration and her own capabilities. What you say is important — but it's critical to practice what you preach! Kids learn about resilience by watching adults in their lives handle tough moments, and discovering that bumps in the road aren't the end of the world. "Be conscious about how you handle uncertainty in the presence of your children, whether it’s making a mistake, losing your keys, getting lost [or] burning dinner," Simmons says. "Focus on how you handle situations that just don’t go your way. Let your child observe you not only managing it, but [also] not beating yourself up." Throughout these discussions, don't forget to discuss the importance of teaching self-care; it's difficult to hold up to life's challenges without a good night's sleep, a healthy diet, and time to recharge. For some girls, that may mean encouraging them to give up an activity if they're overscheduled, or allowing them to give up an activity that they are ready to leave behind. 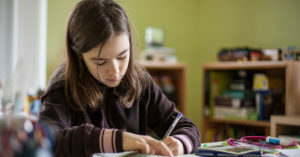 For others, it means talking to them about how the state of their body affects their mind and their mood, like highlighting how much more quickly she got frustrated with her homework doing it at 9 at night instead of 4 in the afternoon. Whatever the case, parents should aim to teach girls about the importance of caring for their whole selves. During the time they take for self-care, parents can encourage girls to develop mindfulness skills, techniques that help them feel present in the moment and recognize bodily sensations and emotions without judgement. Activities like counting breaths or focusing on each sense, one at a time, are much easier to learn when a girl is already calm — but once she's had some practice, she can also do them when she's feeling frustrated or overwhelmed. These skills, Simmons says, allow girls "to lean inside as much as to lean in," something that helps them "practice self-compassion, nourish their most important relationships, and seek support when they need it." Kids are unknowingly working towards learning resilience through every step of their childhoods — and developing that resilience is a key step towards becoming an independent adult. "The ability to fail is a skill," asserts Simmons. "You’re not going to wake up one day and say, 'now I’m resilient!' Resilience is built over time, with practice, with exposure to challenge." A parent's goal should be to ensure that girls get that time, practice, and exposure, growing each time to take on bigger challenges than they did at the last step. By doing so, Dweck says, you're giving kids a gift that will stand them in good stead throughout their lives: "the best thing [a parent] can do is to teach their children to love challenges, be intrigued by mistakes, enjoy effort, and keep on learning." There's nothing a toddler loves more than declaring, "I can do it myself!" This board book from the Empowerment Series celebrates the little — but very big — steps towards independence kids make as they grow out of babyhood, from being tall enough to reach a shelf to choosing your own clothes to being brave enough to splash in the waves at the beach. It's sure to remind young Mighty Girls that they are winning little victories every day as they grow! 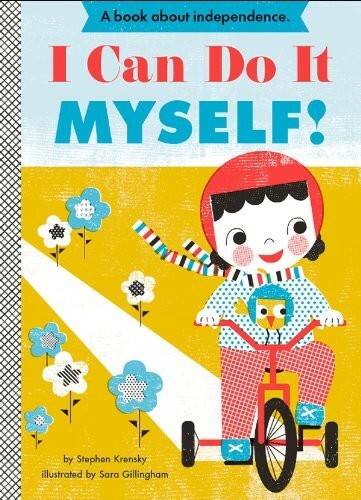 For another book celebrating a toddler's growing independence, check out I Can Do It Too! for ages 1 to 3. Beatrice Bottomwell has never made even a single mistake in her nine years alive — in fact, her whole town knows her as The Girl Who Never Makes Mistakes. But when she almost makes her first right before the big talent show, she's rattled. Suddenly, she starts avoiding things she used to love, just in case she makes a mistake while she's doing them. However, when the inevitable happens and she does make a — very public and messy — mistake, something amazing happens: she laughs it off! It turns out that life is more fun when you realize that mistakes can be overcome... and that no one is perfect. 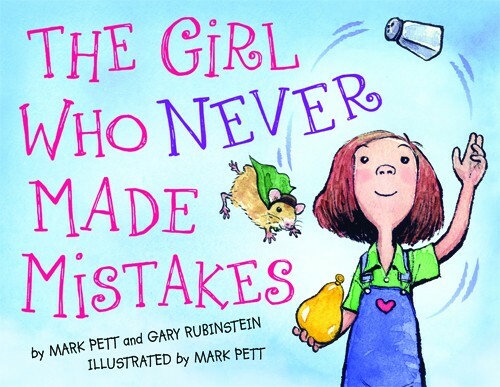 This charming picture book will encourage kids to shake off their mistakes and get ready to try again. 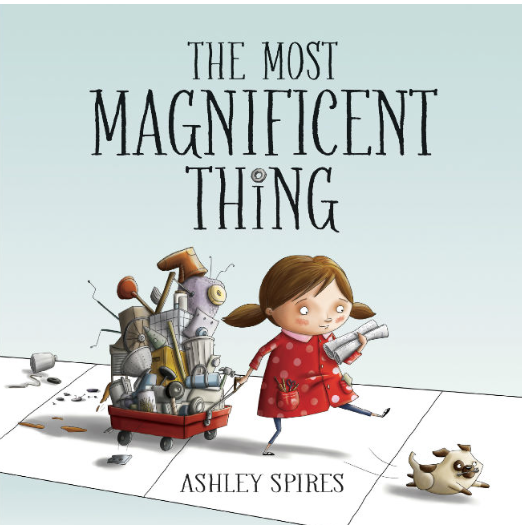 The little girl in this story has an idea in her head for the most MAGNIFICENT thing... so with the help of her puppy sidekick, she collects some bits and pieces and starts building. Except that the result isn't quite as magnificent as she wanted, so she tries again... and again... and again. Eventually, frustration overtakes her, and she not only smashes, pummels, and explodes, she also quits. It's not until she takes a walk with her dog and clears her head that she can see the potential in all her previous design and build something that she really does feel is magnificent. This fun picture book sends a great message to young readers about the importance of persistence. If you've read The Care and Keeping of You, you already know a lot about caring for your body — but your mind and spirit need care too! 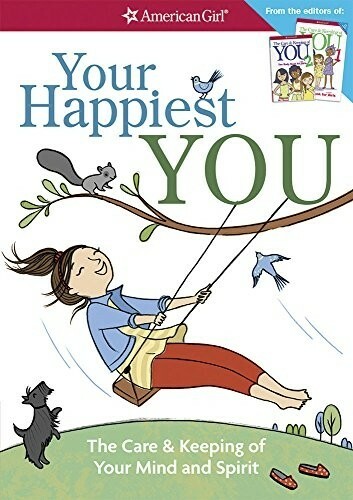 In this new book from the American Girl Library, you'll learn important skills for long-term happiness: how to focus on what really matters to you, how to bounce back after a setback, how to find calm inside, and how to connect with the people you love. It also shows how you can make your happiness "contagious." Friendly, accessible advice and stories from real girls just like you remind young readers that happiness doesn't just happen; it's something you can learn. Negative thinking habits can lead teens to develop a distorted view of themselves and others, leaving them feeling anxious, angry, and sad. 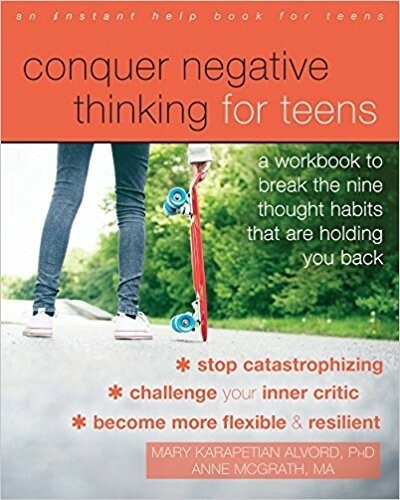 Fortunately, it's possible to learn to recognize these habits — whether it's the "I can't" habit, the "zooming-in-on-the-negative" habit, the "mind-reading habit", or any of the other common negative thinking habits — and develop more helpful ways of thinking that can help teens gain perspective, resiliency, and self-confidence. Psychologist Mary Karapetian Alvord and writer Anne McGrath provide sections addressing the emotions and bodily sensations that are commonly associated with each habit. Filled with real-life examples, the guide gives teens a step-by-step action plan on how to take control of their thinking and their lives. Want to power through the challenges in your life and achieve your goals? Then you need grit! The term "grit" encompasses all the attributes you need to accomplish what you want, from tenacity to self-control to the ability to bounce back from failure. 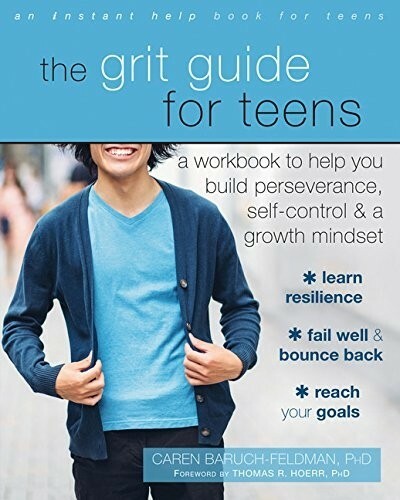 This guide introduces teens to the concepts of grit and growth mindset — focusing on improvement and hard work — and shows them how these ideas can translate into turning disappointment into opportunity, embracing challenges, managing stress, and more. After all, life isn't necessarily about being the best of the best; it's about being the best YOU that you can possibly be! What makes the difference between someone who perseveres until they succeed, and someone who gives up? The answer is mindset! 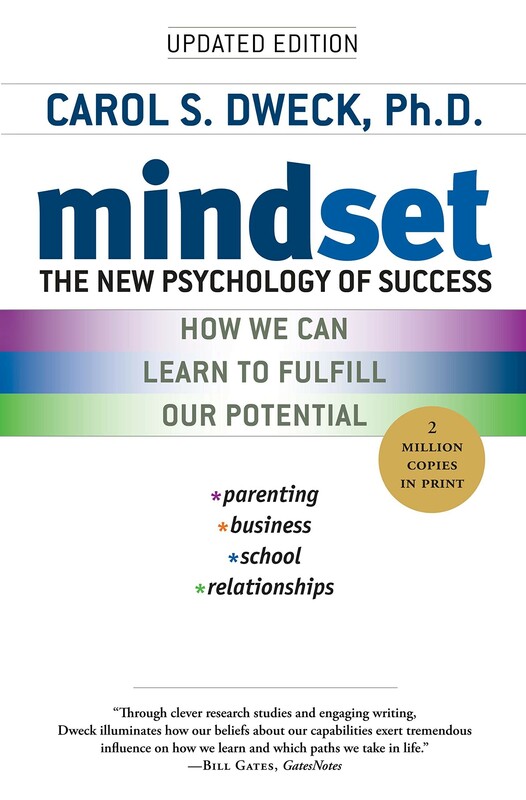 Stanford University psychologist Carol S. Dweck has conducted decades of research into how mindset affects performance, and in her book she talks about how developing a growth mindset — the belief that abilities can be developed — helps set the stage for achievement. A selection of case studies highlight the differences between fixed and growth mindset, while the included tips can help parents and educators foster growth mindset in both individuals and communities, so that everyone can reach their full potential. Many people think that talent is the key to success — but we all know talented people who never live up to their potential, and people who thrive despite enormous obstacles. 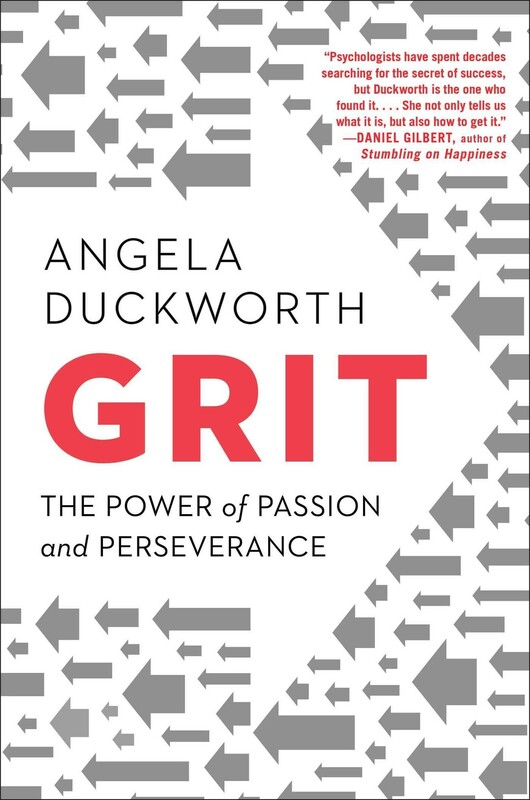 Celebrated researcher and professor Angela Duckworth says that the difference is grit, a combination of passion, perseverance, and drive that can push people to achieve heights they'd never thought possible. In her best-selling book, she lays out what she's learned from high-achievers and reminds readers that grit can be learned, and how what you think when you fall down determines whether, and how quickly, you get back up again. This fascinating and inspiring book is an important reminder of the power of persistence and practice.